Lentil cooked in a aromatic coconut curry...call it daal curry, lentil curry legume curry. It's a wholesome delicious meal that can be cooked in a pressure cooker or slow cooker. Vegan, vegetarian and no onion or garlic. 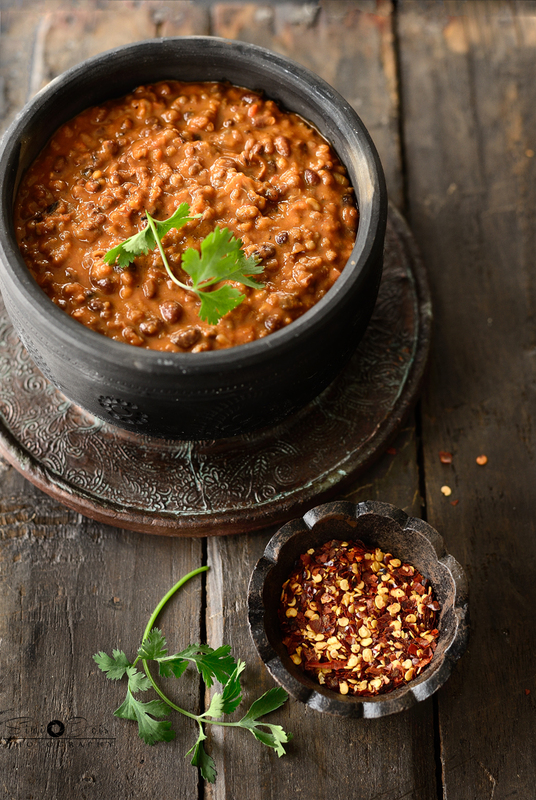 Dal/lentil is probably the most common curry in India Cuisine. They are varied versions, from a simple plain dal as comfort food to a rich mughlai delicacy. Mughlai cuisine was introduced to India during the medieval era when India was ruled my the Mughals. The cuisine is know for it's rich aromatic curries. 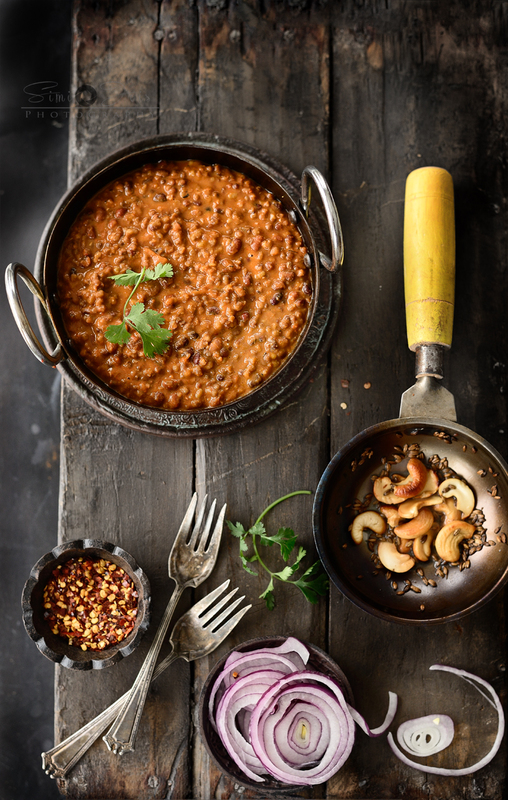 Dal is a curry made from split or whole lentils. It can be made with a couple of spices or a rich spice blend. 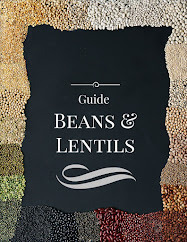 There are more than a dozen kinds of lentils that can be cooked more than a dozen of ways. Then you can have combinations of lentils in your dal, add veggies or greens. 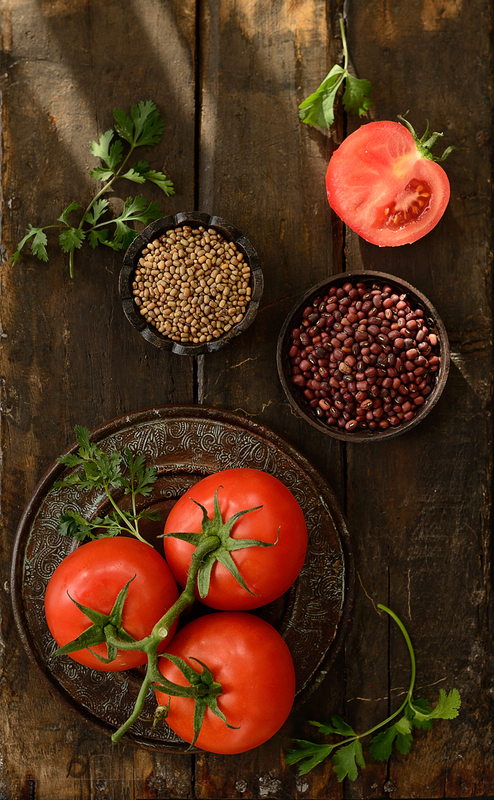 For a vegetarian diet, lentil is one of the important source of protein. Lentils are a type of legume. The lentils with skin are a bit hard to cook and you may want to soak them for a few hours before you cook them. They are best cooked in a pressure cooker for quick use or slow cooker (crock pot). This one can be made either in a pressure cooker or pot crock. This curry has been made from mat bean also know as moth bean or matki. If you ask me, I wish it had a different name ....moth does not sound very appetizing. 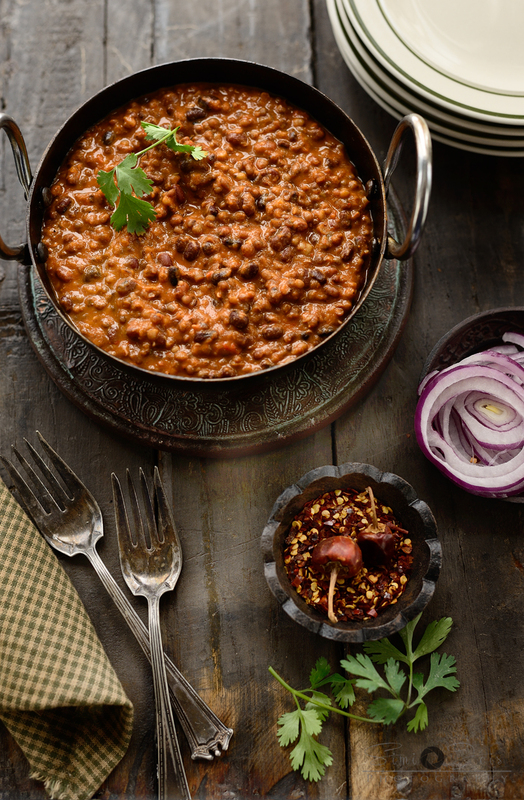 Even though matki is a bean or legume, it often referred to as dal (synonymous to lentil). Moth bean comes in various colors and sizes the one I used was the white tiny one and the red bigger one - as shown in image 2 of the post. There is a lot of debate and confusion about the nomenclature, daal, lentil, bean or legume...this curry is lip smacking delicious. Cooked in silky coconut gravy on low flame. Pressure cook the daal till it is almost done - not fully done. In a blender add tomatoes, red bell pepper and ginger and make a fine puree. In a sauce pan heat 2 tbsp of ghee add shahi jeera, let it splatter, add the puree and roast till it is reduced and starts leaving oil. Add the spices and salt and coconut milk and bring to boil, not add the moth bean that is almost cooked and cook it on sim for about an hour till the moth bean is well cooked. Take 2 tbsp ghee, roast some cumin and cashew till brown, and add to the curry before serving. Serve hot with cumin rice pilaf. Soak the moth bean overnight in hot water. In a sauce pan heat 2 tbsp ghee add shahi jeera, let it splatter, add the puree and roast till it is reduced and starts leaving oil. Add the spices and salt and coconut milk and bring to boil, not add the soaked moth bean and transfer to the slow cooker, let it cook for 4 hours or till done. Additional tips - Sometimes the bean just does not cook. It's not that you are doing something wrong...just add about 1/4 tsp of baking powder to it and cook again. I just wrote a post yesterday for a UK online magazine about Lentil with Vadi. Felt almost Déjà vu and had to come to the space n comment. I love dal and here the styling is immense. I can see the ingredients screaming out their beauty. Matki chi usual is what my Aai used to call it. Keep up the good work and inspiration. A delicious and healthy dish! 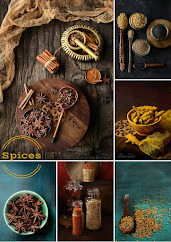 Love the spices. So fragrant. Is this close to daal makhani? I love and miss lentil the most, your photgraphs are making me hungry they are that pretty. 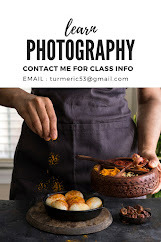 I know how hard is to shoot daal, you nailed it! So much i learn from you and deeba! I find styling & shooting Dal quite hard. You have nailed it !! I can almost feel the dal and it is just how I want to eat. Ah, seeing them side by side at the link I can see they are a little different. I have azuki on hand, but I have never run across the red moth beans so I will try that substitution. Thanks!